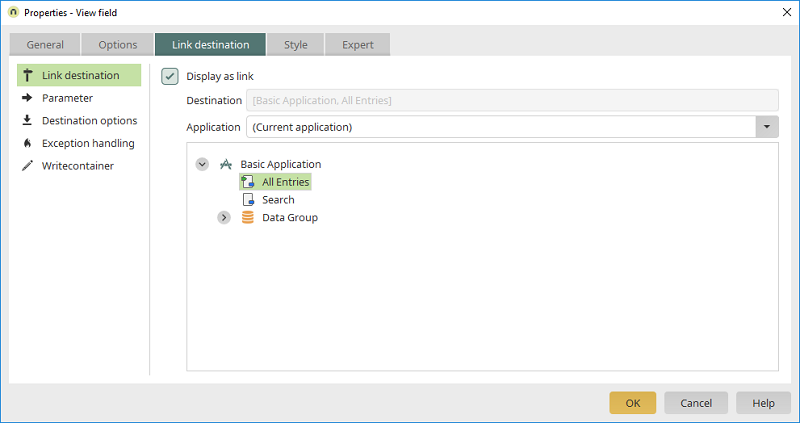 Click here for more information about the settings under "Link destination", "Parameter", "Destination options" and "WriteContiner". 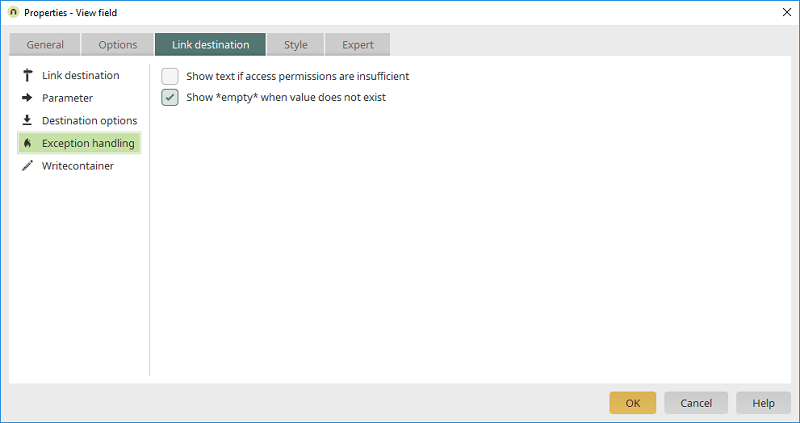 On the this tab, you can define what should be shown in the table if values are missing or the user has insufficient permissions. The user receives a notification that they do not have sufficient permissions for the page or data group. The statement "*empty*" will be displayed for null values.